Recap: Tsukuba gets put into the first match as Komano goes to scout out the best teams. In an interesting twist, Mizusawa’s first opponent is a team of players with non-japanese heritage. Can the team put aside the usual Japanese xenophobia and play? Finally, we’re starting up the tournament and we get to see some action. 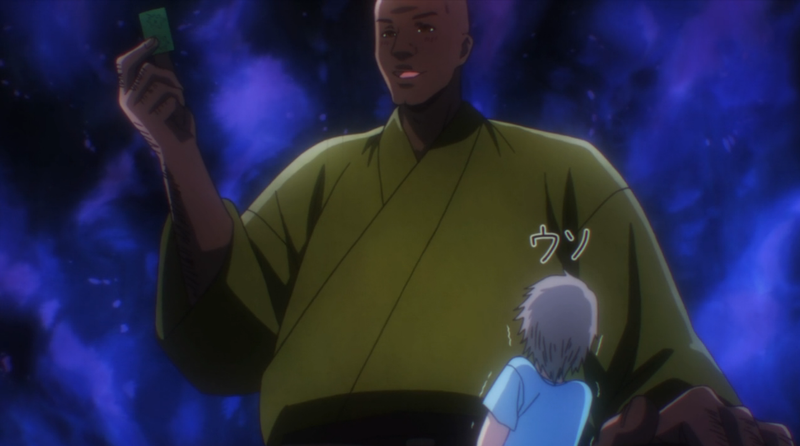 I really have had a lot of respect for Komano as this show goes on. Knowing where his skills are best, he realizes he’s a better asset to the team scouting than playing against first round opponents. This has to be a first as far as the anime I’ve watched. There are non-japanese characters, and they are not treated as some kind of joke. Of course, as the typical japanese people they are, our team still freaks out a bit, but it’s really treated for all the outdated racism it is. The best part had to be having these players speak in english as you normally see in anime, replete with all the engrish that plagues most attempts at writing english speakers. The only thing is, the reason their english is so bad is because they actually don’t speak english fluently. Taichi calls them out on it, and we see that who they called foreigners for the most part aren’t actually foreigners at all, two appear to be from other areas of Asia, but the three others were actually raised in Japan. Watching the reaction of the reporter was pretty funny, you can tell you’re not supposed to like him because he is just trying to exploit these kids because they are not japanese. It does make me wonder how much people pay attention to Karuta in their everyday lives. Is it kinda like jai alai, where the sport really only has a very small but frenzied fan base? It seems to have enough publicity to have the championships be televised, but it does remind me of how ESPN used to hold the National Scrabble Championships and the like back in the ’90s. 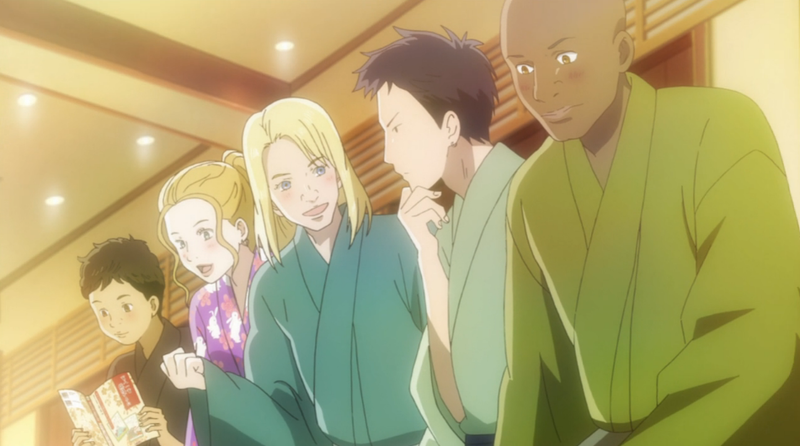 There was also a nice touch at seeing the struggles of the token blonde member, seeing how karuta for him was an attempt to become connected with the land he was raised in despite how people judge his appearance. We also do see the clear racism of Tsukuba, but it’s not played as good, his judgement is literally hampering his playing when he should be focusing on the match at hand. The show even pokes fun at him when he claims “There aren’t any black people in Hokkaido.” by immediately calling him a liar. In the end, while the level-headed Taichi and Nishida try to calm everyone down, it’s Chihaya that settles them down into fighting mode. 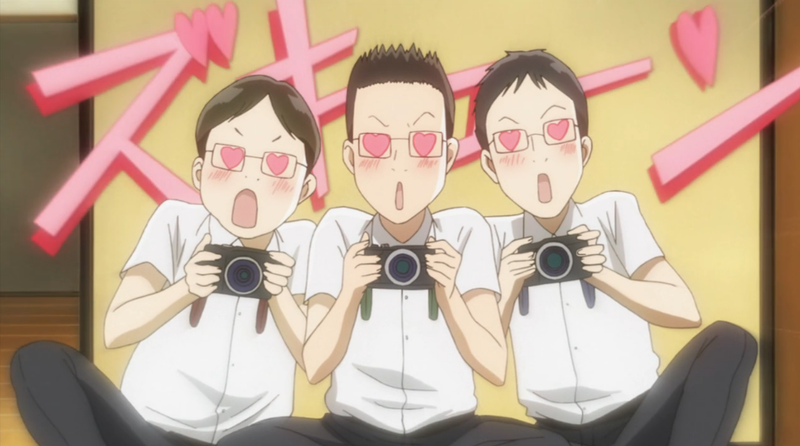 Once again, Chihayafuru really masters the art of making things tense even when they’re not. It looked pretty clear that after they got their heads in the game it was a clear sweep. The little sendoff message they had was sweet, showing how much fun they had playing. Still, we clearly established that they did not have mastery over the language, so its kinda weird that Chihaya made Taichi help her make that message in English anyway. Something tells me that with all the fuss over the new girl, she’s definitely going to be the next opponent. 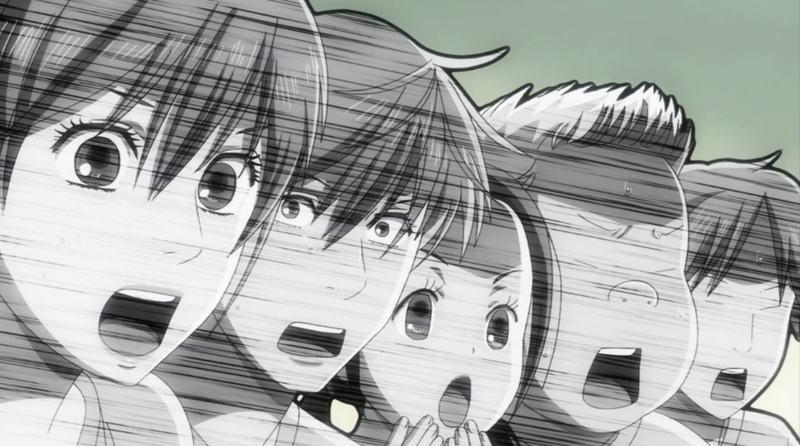 Now that we’re in non-stop karuta-mode it’ll be fun to see whats next for Team Mizusawa no matter what. It’s ironic that I watched this, and completely missed the live broadcast of the Karuta National Championship on NicoNico on Sunday. Other than that, good episode.